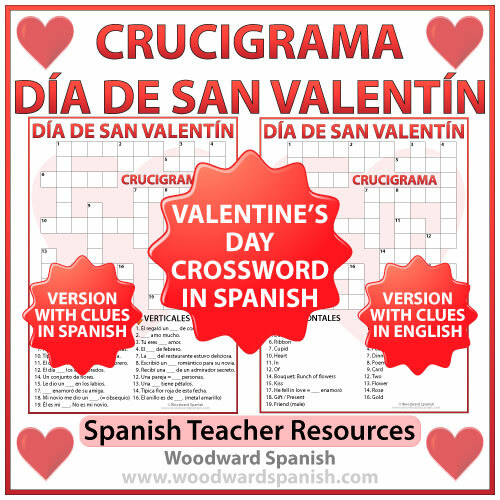 Crossword with Vocabulary about Valentine’s Day in Spanish. 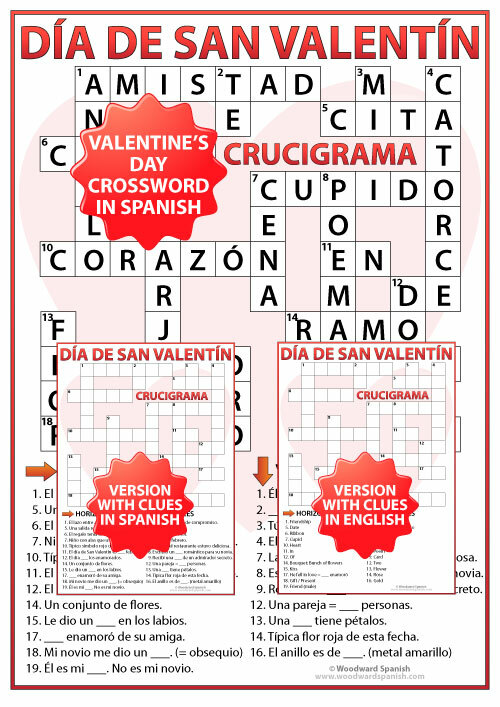 Crossword with Vocabulary associated with Valentine’s Day in Spanish. There are two versions of this crossword. One is completely in Spanish without any English on the worksheet making it ideal for Dual Language Immersion classes. The other version has the clues in English which students need to translate into Spanish to complete the crossword. This English to Spanish version would be more ideal for lower levels that may not understand the version with the Spanish clues.